Waldo Mootzka, is a Hopi Pueblo that was self taught. He observed Fred Kabotie painting at Oraibi Day school which may be where he learned watercolor. 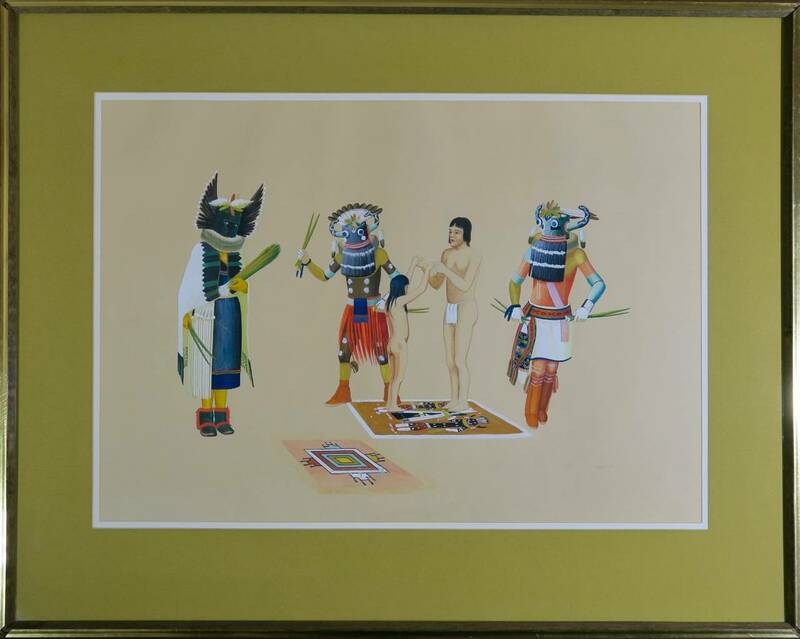 In the 1930s John Louw Nelson employed Mootzka to create paintings for sale that portrayed Native American Indians in everyday life. Later in Santa Fe, he was sponsored by Frank Patania, who taught him silversmithing. in 1940 Mootzka was in a n automobile accident that exacerbated his tuberculosis, and he died later that year. At the time of his death, Mootzka was devoting almost all his artistic talents to silverwork. He died at 30 and had few watercolor paintings. 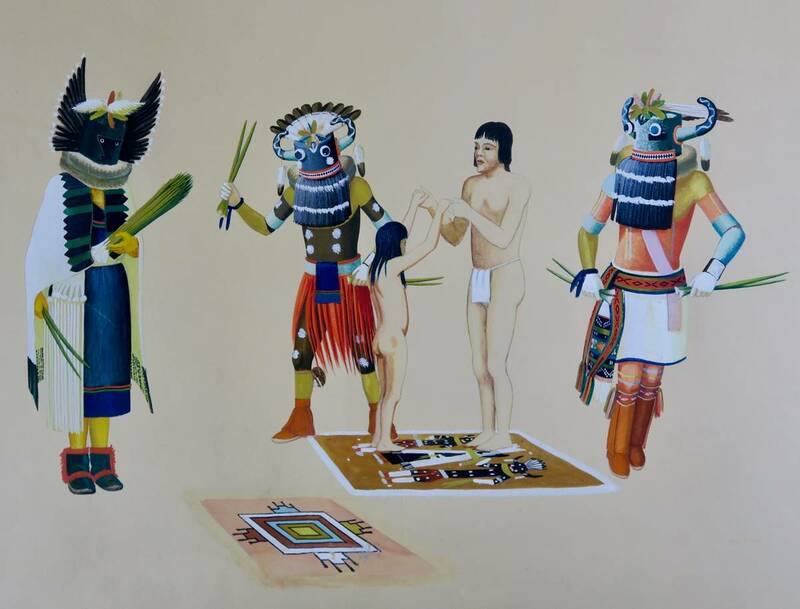 This painting shows an initiation for young boys into manhood in Hopi culture. Crow mother is the kachina on the far left which is often part of initiation rites. A rare and unique piece to add to your collection.